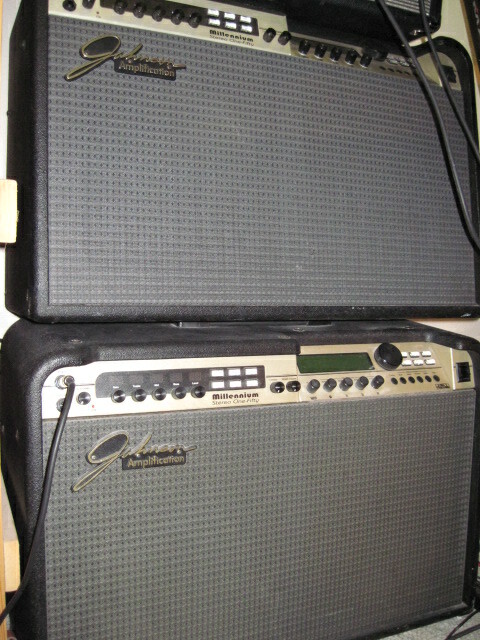 Two Of A Few Johnson Mellinnium JM-150's. With J-12 Pedal Boards. The Only Amps I'll Use Along With My Boss CS-3 Compressors And Morley Volume Pedals. Wish Scott would make a "How to Use Johnson Millenniums" type video for dummies like me! Hello Scott love all of your videos . Do you have any JM 150 at the moment ..
Hello my friend. None for sale currently. love the johnson amp.would like to have one but do not think i could handle the weight.they are also getting harder to find and the prices are rising since people have become more aware of them.i have not seen to many people that have got as good of sound and tone as scott!